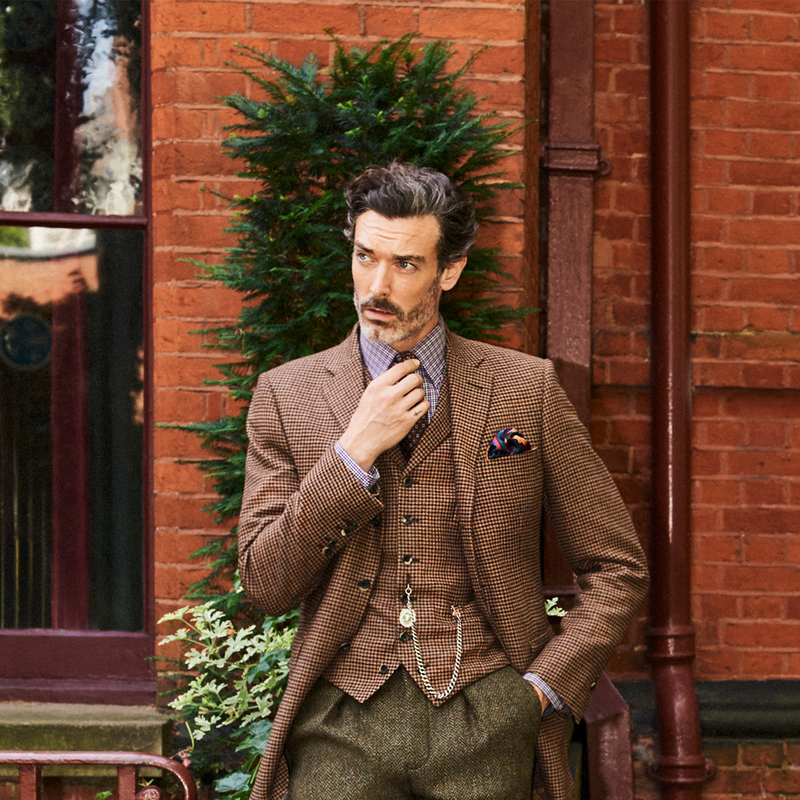 The new collection at New & Lingwood has as its inspiration the idealised view of the effortlessly styled English Gentleman, as characterised recently in The Phantom Thread and The Crown. 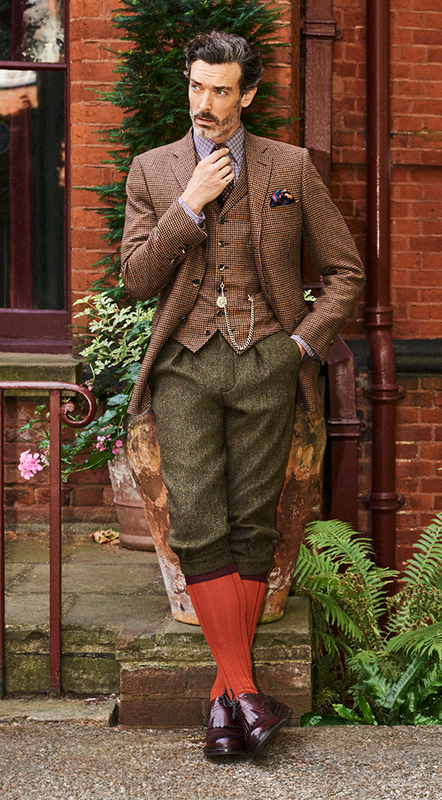 A sense of nostalgia pervades the whole collection but with modern interpretations of traditional sports and Norfolk jackets, pleated flannel trousers, brushed cotton shirts and tweed britches; all this in addition to their classic city suits in herringbones, chalk stripes and windowpane checks. 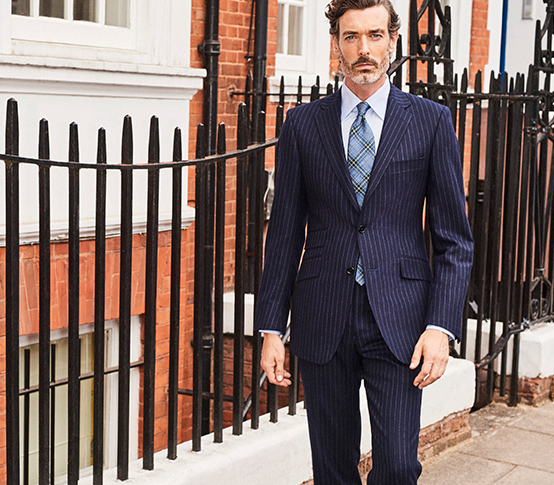 The collection provides a perfect balance of soft, deconstructed tailoring to the more formal semi-canvas construction, all expertly cut and in perfect proportion. 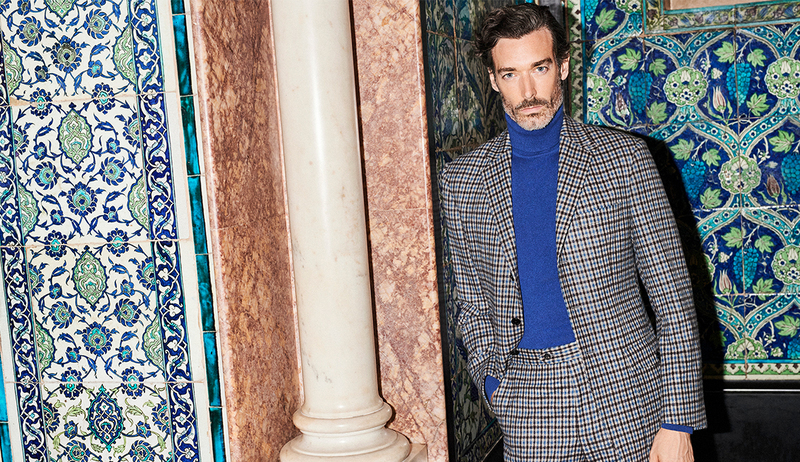 Discreet attention to detail continues to set them apart through linings, trims and even the hidden undercollars of jackets. 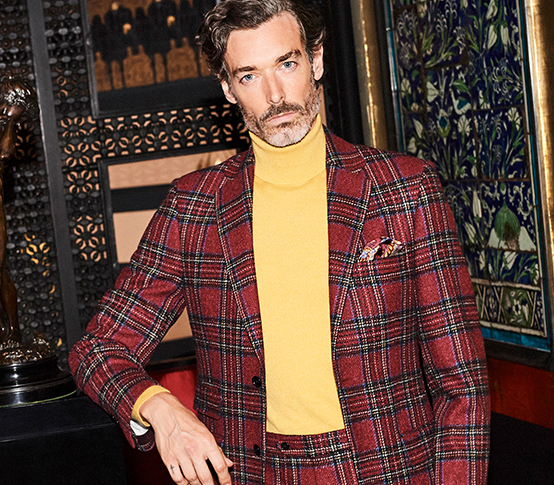 Their insistence for the best in British and Italian cloth never ceases and is seen in the richly textured tweeds, flannels, tartans and cashmere. The new coat collection features the finest pure camel hair, baby llama and merino wool as well as their perennial covert and reversible raincoat styles. 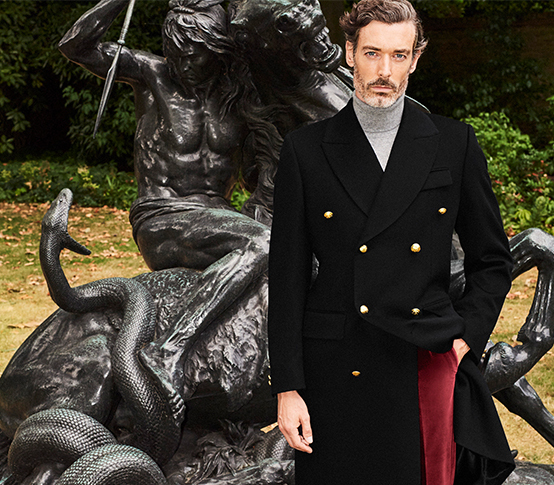 A new, pure cashmere coat in a military style with our signature brass skull buttons stands out as a must-have item. 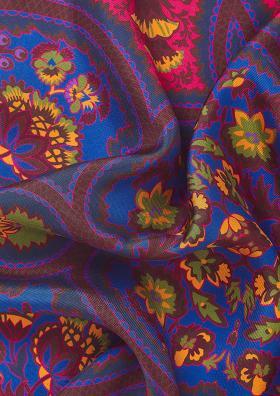 To compliment all of this, there is their usual English-made tie collection of rich jacquards and prints in olives, purples, earth tones to set off their tailoring with impeccable, understated levels of English taste. 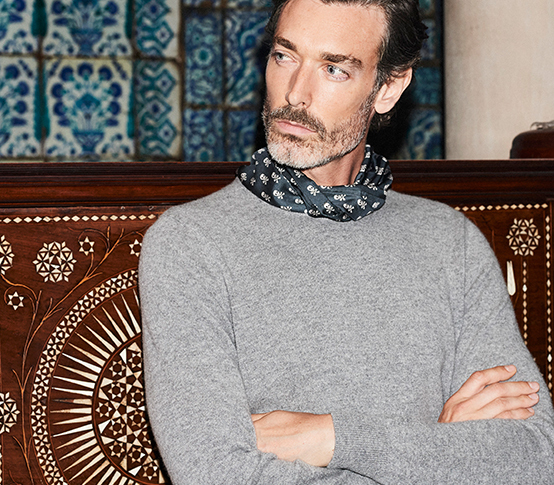 Knitwear features cable roll-necks and the very best in Italian cashmere and merino in new hues for the perfect layering piece. 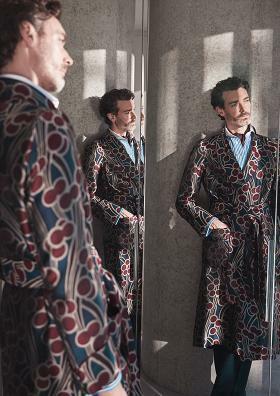 The collection of opulent dressing gowns goes from strength to strength with new, tropically coloured and jacquard English silks, stunningly printed velvets, depicting hounds and equestrian scenes and the ultimate in ‘oystered’ cashmere from Scotland.